Where can I get the name engraving service? Customer can get the name engraving services online and selected outlet only*. Please stay connected with us on Oloiya Facebook Page for the available date & location for the engraving services. Do you deliver anywhere in Malaysia? We deliver to your location within West Malaysia and East Malaysia. Do you deliver outside of Malaysia? We only accept orders for delivery within Malaysia at the moment. When will I be expecting my order to arrive? Your orders will be packed & arranged for delivery within 2 business days after payment has been received. Any order placed after 3 p.m. on Friday will only be shipped on the following Monday. Please expect delay delivery during peak session: Chinese New Year (from 14th January to 31st Jan 2019). If you have not received your goods after the due date, please contact us or Skynet directly. Can you deliver to several addresses in my order? We only able to deliver to one delivery address per transaction or order. Can I change my delivery address after my order is made? You may contact us immediately if you made an error in your delivery address. However, if your order is already in delivery process, we will not be able to accept any changes to your delivery address. What happens if I am not at home when the delivery package arrived? Our courier (Skynet) will leave a card in your mailbox or under your door if there is no person receiving your package at your delivery address. You are to contact the phone number listed on that card to arrange another delivery attempt or pick-up options in your area. Can I request for store pickup? Unfortunately, we do not offer store pickup services from online purchase, but you can pre-order our product from any OLY outlet and collect your order from the store. Please note that, venue of collection is valid to the pre order made. No changes of venue allowed. How much do I pay for my shipping & delivery? The shipping and delivery charges will be displayed in your final order summary page, just before you authorize the payment of your order. Delivery services charges will apply separately for West and East Malaysia. Prices on Oloiya website are subjected to change without prior notice. Can I choose the time and date of delivery? It is not possible for you to choose the exact time or date of delivery currently. How do you pack my orders for shipping & delivery? All barbecued meat products are packed in vacuum bags. Premium gift box will be given to customers who purchase single pack of 500 gm dried meat, with complimentary engraving services. All meat floss products are packed in airtight containers. Vacuum barbecued meat is best to consume within 30 days. Where do I check my tracking number? We will send you the tracking number by email, after we shipped your order. You can track your order from Skynet official website. What are the payment options that available on your website? eGHL will be our payment gateway that accepts payment via credit card, online banking transfers, e-wallet and PayPal. Do I get free gift, if I buy many products during Chinese New Year? 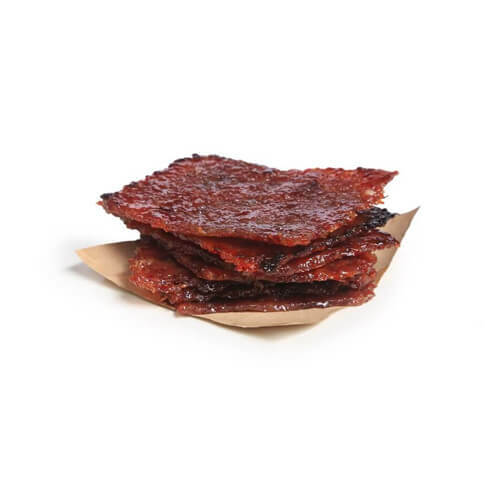 – Purchase single pack of 500 gm dried meat come together with premium gift box, paper bag and name engraving. Step 1 – Choose the product that you wish to order. Step 3 – Fill in your delivery address and make the payment. Am I able to make any changes to my paid order? No changes, refunds or cancellations are allowed after payment has been made. What happens if I did not receive my order after your estimated delivery date? Occasionally delivery packages are returned to us as undeliverable after 2 delivery attempts. Do note that orders that are returned to us as undeliverable cannot be re-shipped to you as we maintain a strict policy of ensuring the freshness in our products. As such, we do not refund undeliverable orders. You are encouraged to keep track of your order when we send you the tracking details of your order. Can I cancel or request refund for my order? Unfortunately we do not provide any cancellation or refund policy for your order. Please ensure you check your final order confirmation before making online payment through Oloiya website.